Recently, we obtained a record verdict in the State of Illinois for an individual who was wrongfully terminated from his job for filing a worker’s compensation case. 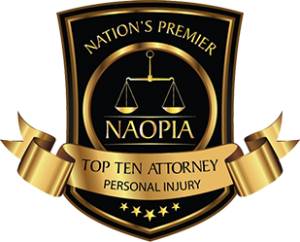 We have won millions for our clients in lost wages due to work related injuries. $1.9 million recovery for railroad worker who suffered fractured vertebrae, requiring fusion surgery, and was unable to return to his prior job as rail conductor. Defendant railroad argued, despite evidence to the contrary, that there were no defects on the rail where he was injured. We uncovered evidence regarding the defective rail, vindicating the railroad worker. 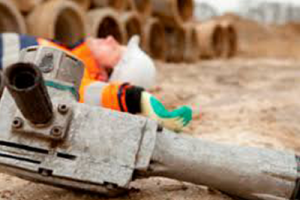 Railroad Worker Injury - Contact Us Now! Attorney Dean Caras and his Associates recognize the frustration that people feel when they know they have been injured or lost their jobs as a result of someone else’s actions, yet cannot find a voice to represent them. Have Your Voice Heard Contact Us Today! OUR FIRM TAKES PRIDE IN HELPING PEOPLE WHO HAVE NOWHERE ELSE TO TURN! We Dig Deeper! 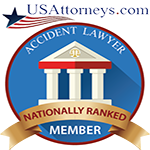 As personal injury lawyers in Chicago, Illinois, Caras Law Group often obtains large verdicts or settlements for clients that have been advised by other attorneys that they have no case. Attorney Dean Caras and his Associates recognize the frustration that people feel when they know they have been injured or lost their jobs as a result of someone else’s actions, yet cannot find a voice to represent them. Recently, we obtained a record verdict in the State of Illinois for an individual who was wrongfully terminated from his job for filing a worker’s compensation case. His employer terminated him the day before he was to have surgery, leaving him disabled with no money coming in to support his family. We recognized the hardship that was caused by his employer, and we dug deeper and fought his case, obtaining a successful verdict providing him with justice and a financial award. Our client often reminded us that it was as important to him that a jury hear his case and rule in his favor as it was the financial award that he received. He entrusted us as lawyers for his workers compensation case to make any and all decisions necessary leading up to the verdict. When we are approached by clients that have lost family members due to medical malpractice, they are typically at a loss for a reason as to the sudden and unexpected death. 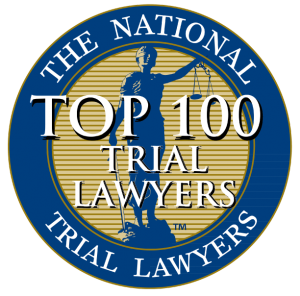 Their extensive search for the best malpractice lawyers in Chicago has led them to us. Simple medical procedures resulting in death may not always be a result of the inherent risks, but because of negligence on the part of the medical providers during the procedure. 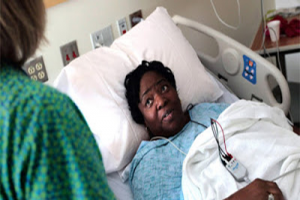 The defendant medical providers strive to prove that everything within the standard of care was exercised, and that the fact that the person died as a result of the procedure was a result of the risk they took. As malpractice attorneys, however, we believe that the facts of the case will nearly never coincide with the providers’ side of the story. Dean Caras promises that in every medical malpractice case, we will dig deeper and find the truth. We recognize that the story of every person who has been injured or wronged deserves the chance to be heard by a jury in their search for justice, and we invite those who have been injured or whose rights have been violated to contact the personal injury and malpractice lawyers in Chicago at Caras Law Group today so that we can dig deeper and help you, as we have done for so many other people in the last 30 years. As an experienced Chicago Civil Rights Attorney, Chicago Personal Injury Attorney, and Chicago Medical Malpractice Attorney, Dean Caras takes pride in helping those who have no where else to turn.